Berlin is one of those cities that offer its visitors a great variety of things to do and places to explore. Every little neighborhood has its own charms and sites worth visiting. However, some of them do have a extra special “je ne sais quoi” about them. If you would like to have more of a local experience and discover one of our favourite corners in town, go exploring lovely Bergmannkiez. Bergmannkiez is the neighborhood in the Western park of Kreuzberg around the lovely Bergmannstrasse between Victoria Park and Südstern. It offers a mix of restaurants, cafés, trinket/vintage stores and little shops (almost no big brand shops around here!). The residential area around Bergmannstrasse is characterised by beautiful preserved architecture. This soulful area has undergone some gentrification in the past decade or so and is now a little less hippie and a little more “upmarket” than it used to be. All the same, it is still super soulful. We think. 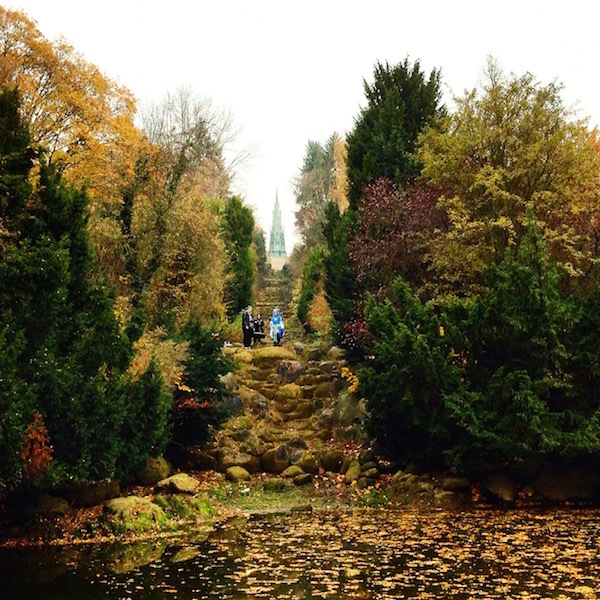 We recommend you start exploring at Victoria Park (one of our favourite parks in town). Make sure to climb up the hill and observe the beautiful and unique waterfall. If you are feeling thirsty, make sure to stop by Golgatha Biergarten (especially during the warmer months). 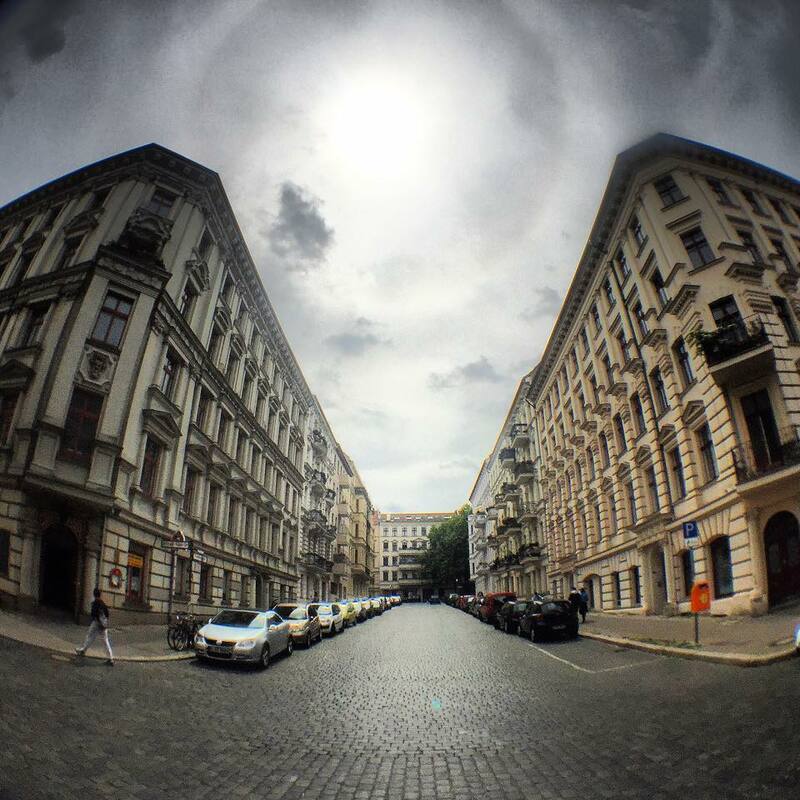 Once you’ve explored the Park, walk along Bergmannstrasse and explore some of the inner courtyards. 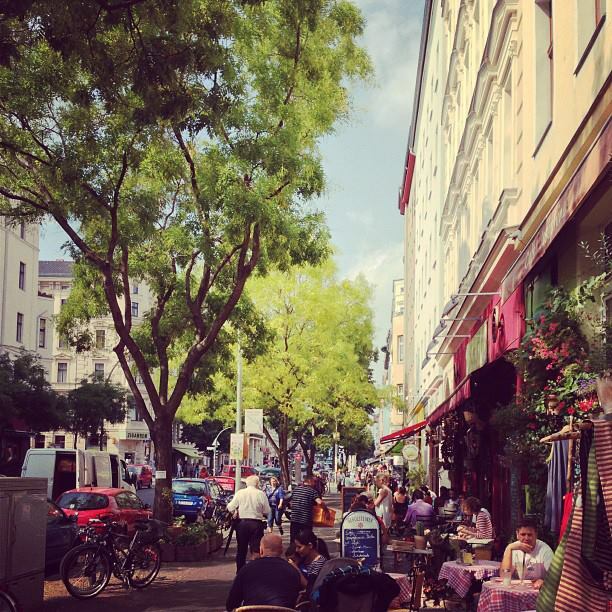 Go beyond Bergmannstrasse and explore the residential areas around it (like Schenkendorfstrasse and Arndtstrasse). Another cool place to explore is the Marheineke market hall (on weekends there is an organic market and a flea market of sorts around it). If you feel like stopping for coffee, try one of our favourites: Chapter One (Chamissoplatz 8). For some cake and overall chill time stop by either Barcomi’s Deli or Café Strauss (a cool Café inside a cemetery!). Once you’ve reached the beautiful and massive grey church at Südstern you’ve reached the end of our recommended walk. That doesn’t mean you should stop here. This area is totally worth an “aimless” exploratory walk as well! One can even walk/bike to Tempelhof Park (an old airport turned into park) from here and make a full day fun trip out of it! Budget at least half a day to get a good feel for this area. And yes, it is as lively at night as it is during the day. Although, for some reason, we end up finding ourselves EXPLORING LOVELY BERGMANNKIEZ usually during the day on Saturdays!